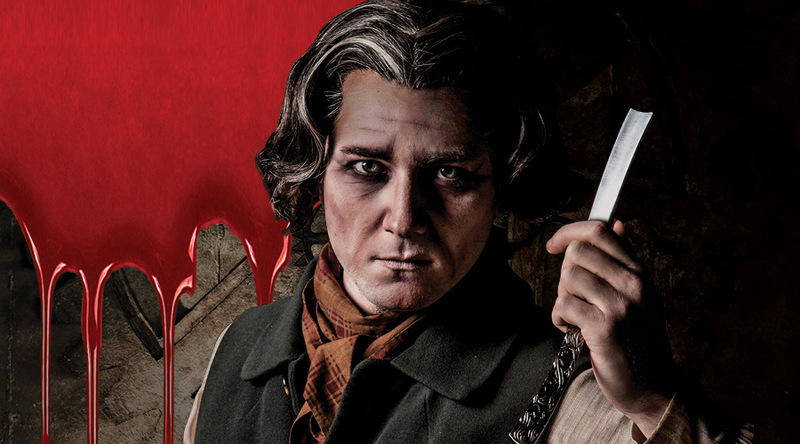 In this dark and witty tale, revenge-hungry Sweeney Todd returns to London to settle a few scores. After befriending Mrs. Lovett, the owner of a local pie shop known to have the Worst Pies in London, Sweeney and the dutiful baker hatch a plan to save the pie shop and exact a bloody revenge. Based on the Victorian short story The String of Pearls, Stephen Sondheim’s musical thriller won the 1979 Tony Award for Best Musical. This production remains faithful to the original Broadway show. 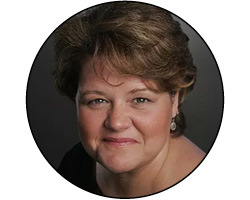 Baritone Michael Mayes will sing the title role, and Maria Zifchak is Mrs. Lovett. This production of Sweeney Todd: The Demon Barber of Fleet Street is sponsored by Gas South. As the audience enters, an organist sits at a gigantic organ and plays funeral music. A drop depicting the social structure of nineteenth century is hung on the stage. Two men dig a grave at the front of the stage. A police warden enters and urges the diggers to hurry. Two workmen enter and pull down the drop. A shrill factory whistle is heard. A man steps forward and invites the audience to attend the tale of Sweeney Todd. As the company begins to outline Sweeney’s dark tale, coordinated stage elements support the storytelling, hinting at the gruesome deeds yet to come (“The Ballad of Sweeney Todd”). We find ourselves on the London docks. Anthony Hope, a young sailor, and Sweeney Todd enter. They both express their feelings about being back in London. Anthony is genuinely happy to be back in the city, but Todd’s response is full of grim irony (“No Place Like London”). While Todd thanks Anthony for saving his life at sea, a ragged, crazed Beggar Woman appears and begs for money; she offers sexual favors in return. She thinks she recognizes Sweeney, but he fends her off. Anthony inquires about Sweeney’s circumstances, worried that he has no place to go now that they are in London. Sweeney dismisses his offer of money. He tells Anthony that, if he needs him, he can find him around Fleet street. Sweeney travels to find Mrs. Lovett’s Pie Shop and stands outside the building, gazing at it. He enters and sees Mrs. Lovett chopping suet and flicking flies off the trays of pies with a dirty rag. Excited to have a customer, she offers him a pie, but she recognizes that they are disgusting. She apologizes and explains that times have been hard and meat is hard to come by (“The Worst Pies in London”). Sweeney asks why she doesn’t rent the room above her shop if times are so tough. She replies that no one wants it because of the awful thing that happened there. Mrs. Lovett then recounts the fate of Benjamin Barker, a foolish young barber who was shipped to Australia by an evil judge. The Judge coveted the Barber’s pretty young wife, Lucy. Once the Judge and his Beadle had Barker removed, Lucy was left alone to care for her one-year-old daughter, Johanna. The Judge and Beadle invited her to a party at the Judge’s mansion, got her drunk and then raped her in the midst of a masked ball (“Poor Thing”). When Sweeney Todd shouts in anguish, Mrs. Lovett realizes that he is Benjamin Barker. Demanding to learn the fate of his family, Barker hears that his wife Lucy took arsenic and that Judge Turpin adopted his daughter. Todd swears to take revenge on the Judge and the Beadle. Mrs. Lovett then brings him his razors, which she has kept hidden away for all these years; Todd is thrilled to be reunited with his razors, and Mrs. Lovett is thrilled to be reunited with Todd (“My Friends”). The scene shifts to Judge Turpin’s mansion, where Johanna is imprisoned. She calls out to the caged birds of a passing bird seller, imploring them to share their secret for singing so sweetly when they, too, are kept captive (“Green Finch and Linnet Bird”). Anthony appears on the street, sees Johanna and instantly falls in love with her (“Ah, Miss”). Suddenly, the Beggar Woman appears and tells Anthony that he is standing in front of Judge Turpin’s house and should beware of trespassing. Anthony buys a bird for Johanna. He calls to her and presents the bird (“Johanna”). They stand, absorbed with each other, not noticing the approach of Judge Turpin and the Beadle. The Judge orders Johanna into the house. The Beadle cautions Anthony to stay away and strangles the bird as a warning. Meanwhile, in St. Dunstan’s Marketplace, a painted caravan announces the presence of Signor Adolfo Pirelli and his baldness-banishing miracle elixir. Tobias, Pirelli’s simple-minded assistant, beats a tin drum to attract a crowd (“Pirelli’s Miracle Elixir”). Todd and Mrs. Lovett are among them. Although the crowd responds to Tobias’ pitch, Todd and Mrs. Lovett begin a slander campaign against the elixir, and people demand their money back. Tobias tries to distract them, but to no avail. Pirelli arrives and silences the crowd, demanding to know who denies his excellence as a barber. Todd steps forward and challenges Pirelli to a shaving contest. Todd gets the Beadle to judge the match and, being of superior skill, wins easily (“The Contest”). Todd and Pirelli then have a tooth-pulling contest, which Todd also wins (“Contest II”). The Beadle is very impressed and gets the address of Todd’s shop, promising to appear soon. When the Beadle thinks that he recognizes Todd, Mrs. Lovett assures him that this is not possible. The company explains how Sweeney methodically plotted his revenge (“The Ballad of Sweeney Todd”). Judge Turpin is in his quarters while Johanna sews in an adjoining room. Unable to control his desires for Johanna, the Judge holds a Bible and whips himself, praying (“Johanna”). When he is done, he visits Johanna and announces that he plans to marry her to keep her safe from the venal young men of the street. After an encounter with the Beggar Woman, Mrs. Lovett climbs the stairs to Todd’s quarters, where he is waiting eagerly for the Beadle to appear. Mrs. Lovett tells him to be patient as she plans the redecoration of his drab quarters with daisies and other homey touches (“Wait”). Despite her entreaties, Todd is also impatient for the Judge to visit. Anthony appears at Todd’s door and tells him of his encounter with Johanna, unaware that she is Sweeney’s daughter. He plans to steal Johanna and asks if he can bring her to Sweeney’s for safekeeping. Having secured Todd’s assistance, he leaves. Mrs. Lovett suggests that Sweeney kill Anthony and keep Johanna with him. She promises that she will be a splendid mother to Johanna. Pirelli and Tobias appear. Mrs. Lovett takes Tobias downstairs for a meat pie. Pirelli reveals his real identity as Benjamin Barker’s former apprentice. He tries to blackmail Todd by threatening to reveal that Todd is really Barker. They struggle, and Todd renders Pirelli unconscious. Todd stuffs him in a chest, when Tobias appears. Todd persuades the boy to go to the kitchen for more meat pies and some gin. 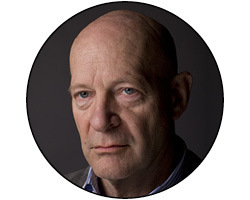 Once Tobias has gone, Todd pulls Pirelli out of the chest and slashes his throat (“Pirelli’s Death”). The company transitions to the next scene, remarking on Sweeney’s treatment of hypocrites (“The Ballad of Sweeney Todd”). Leaving court, the Judge announces to the Beadle his intention to marry Johanna. At the same time, Anthony proposes to Johanna (“Kiss Me”). As the Judge continues on his way home, the Beadle delicately suggests that Turpin pay more attention to his personal appearance to heighten his appeal to Johanna (“Ladies in Their Sensitivities”). Recalling Sweeney’s excellent work, the Beadle suggests to the judge that he make a visit to Sweeney’s shop. At the pie shop, Mrs. Lovett discovers Pirelli’s fate. When Todd wants to kill Tobias, too, she protests. The Judge appears. Mrs. Lovett goes downstairs to distract Tobias. The Judge confides his marriage plans. Todd prepares to slit the judge’s throat, but he takes his time, savoring the moment before his anticipated revenge; meanwhile, the Judge anticipates his future with Johanna (“Pretty Women”). Just as Sweeney is about to kill the Judge, Anthony rushes in, blurting out the news of his planned elopement. The Judge leaves in a fury, announcing his intention to lock Johanna away and telling Todd that he will not be back. Enraged at losing the chance to kill the Judge, Sweeney throws Anthony out of the shop and announces his intention to kill everyone he can to get ready for the inevitable destruction of the Judge (“Epiphany”). Mrs. Lovett reminds him that they have to dispose of Pirelli’s body. She has an inspiration; they can recycle his victims into meat pies. Sweeney sees the genius of this plan and they celebrate (“A Little Priest”). Thanks to her newfound prosperity, Mrs. Lovett has expanded her shop to include an outdoor eating garden. She now wears a fancy gown, and Tobias wears a waiter’s apron. Her shop is mobbed with customers who crave the new pies (“God, That’s Good!”). The Beggar Woman lurks around. An elaborate new barber chair is moved into Todd’s quarters. Todd and Mrs. Lovett set up a complicated system by which Todd sends his victims down a chute, directly into the bake house, where there is a grinding machine. Anthony searches the streets for Johanna. At the same time, Todd dreams of his daughter and systematically kills the customers who sit in his chair. The Beggar Woman tries to warn passersby about the strange odors and smoke coming from Mrs. Lovett’s bake house. In the lunatic asylum where the Judge has placed her, Johanna dreams of the moment when Anthony will free her (“Johanna Act II Sequence”). Anthony hears Johanna’s voice and discovers that she is in the asylum. He tries to rescue her, but the Beadle stops him and tells the police to bash his head. Anthony escapes. Mrs. Lovett sits in the parlor, playing the harmonium (“I Am a Lass”). She fantasizes about a married life with Todd on the seashore, but he is too fixated on his revenge plot to notice her (“By the Sea”). Anthony appears, asking Todd to help him free Johanna. Todd makes Anthony over as a wigmaker, knowing that the asylum will sell inmates’ hair to the highest bidder. He gives Anthony a gun and tells him to bring Johanna to the barbershop after the escape (“Wigmaker Sequence”). Todd then writes to Judge Turpin, telling him that he can find Johanna and Anthony at the barbershop that evening (“The Letter”). Mrs. Lovett sits with Tobias. As she knits him a muffler, they exchange words about their warm feelings for each other. He is devoted to her and promises that no one will harm her (“Not While I’m Around”). He then suggests that something about Sweeney Todd is suspicious. When Mrs. Lovett pulls out Pirelli’s purse, he recognizes it. She says that Todd gave it to her, which only further feeds Tobias’ doubts. She invites Tobias into the bake house, where he is usually forbidden to go. He is delighted. Once there, she allows him to grind the meat for pies, and he forgets his concerns. She leaves him grinding and locks the door to the bake house. As she returns upstairs, she finds the Beadle at the harmonium in her parlor (“Parlour Songs Part 1”). He has come in response to complaints about a foul smell from her chimney. She says that she can’t take him into the bake house until Mr. Todd comes home. He says that he’ll wait and continues playing the harmonium (“Parlor Songs Part II”). Todd arrives. He takes the Beadle upstairs for a free shave before his inspection of the ovens. In the bake house, Tobias begins to suspect that the remains of humans are used for the pies just as the Beadle’s body comes down the chute. He realizes that he is locked in and, whimpering, disappears down the cellar steps. Mrs. Lovett tells Todd that Tobias suspects them. She wants Todd to dispense with Tobias at once, but Todd is focused on extracting his revenge from the Judge. Anthony comes to save Johanna at the asylum, but, when the owner tries to stop him, he cannot bring himself to shoot. Johanna grabs the gun and kills the owner (“Fogg’s Asylum”). They escape. The lunatics are freed from the asylum and spill with euphoric excitement into the street (“City on Fire”). Mrs. Lovett and Todd look for Tobias. The Beggar Woman, suspicious of Mrs. Lovett, searches for the Beadle (“Searching I”). Anthony and Johanna arrive at the barbershop. She wears a sailor suit. At Anthony’s insistence, Johanna stays behind as he leaves to hire a coach for their escape to Plymouth. The Beggar Woman appears. Johanna hides in a trunk. The Beggar Woman surveys the room; being there stimulates something within her. She cradles and begins singing to an imaginary infant (“Searching II”). Todd discovers her. She tries to warn him about Mrs. Lovett and again wonders if she knows him. He turns on her, slits her throat and releases her down the chute. The Judge enters. Sweeney pretends that Johanna is safely with Mrs. Lovett and is longing to be reunited with him. Todd convinces the Judge to have a shave to prepare for his meeting with Johanna. Sweeney reveals himself as Benjamin Barker and slits the Judge’s throat (“The Judge’s Return”). Todd starts out of the room to deal with Tobias as Johanna emerges from the trunk. Mistaking her for a sailor because of her disguise, Todd tries to attack her, but she escapes. He runs to the bake house. Mrs. Lovett tries to kill the Judge, who is still clinging to life. She then notices the Beggar Woman. She frantically tries to drag the Beggar Woman to the oven. Todd sees the woman in the light and realizes that she is his wife, Lucy. He accuses Mrs. Lovett of deceiving him; she claims that she never told him that Lucy died, only that she took poison (“Final Scene Part I”). She tries to stem his anger, and he feigns forgiveness by waltzing with her… over to the oven, shoving her inside. He then cradles the Beggar Woman in his arms (“Final Scene Part II”). Tobias appears, his hair now completely white from shock. He kills Sweeney with the razor, which has fallen on the floor. Constables, Anthony and Johanna appear. Tobias has lost his mind; he cannot stop turning the handle on the grinder. The company reenters and claim to see the Sweeney in each of us. At the end, Sweeney glares at the audience malevolently and he slams the iron door (“The Ballad of Sweeney Todd”). The anti-hero bent on revenge who dispatches his victims in his barber chair. Baritone Michael Mayes has been praised for his “powerful” voice and “arresting stage presence.” He is well known for his critically acclaimed portrayal of Joseph De Rocher In Jake Heggie’s Dead Man Walking. Sweeney Todd’s business partner who makes and sells meat pies made from his victims. 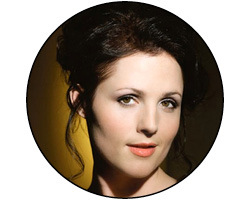 Mezzo-soprano Maria Zifchak will sing the role of Mrs. Lovett for the first time. 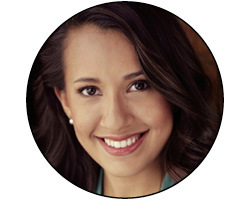 Later this season, she returns to the Met Opera as Annina in a new production of La traviata. A young sailor who helps Todd return to London; in love with Johanna. 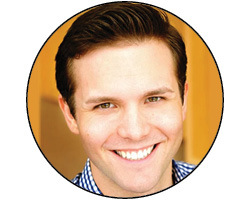 Baritone Joseph Lattanzi is gaining notice for his “robust vocalism,” and “Undeniable star potential.” He recently led the world premiere cast of Fellow Travelers. A spritely girl, full of innocence and constantly yearning for freedom. Todd’s long-lost daughter and Turpin’s ward. A lecherous public official who portrays himself as a sanctimonious authoritarian. He takes advantage of his position and his responsible for imprisoning Todd. Seasoned baritone Tom Fox has worked at most opera houses around the world and is regularly celebrated for his magnificent character work and “tour-de-force” performances. A deranged woman who harbors a dark, surprising secret. 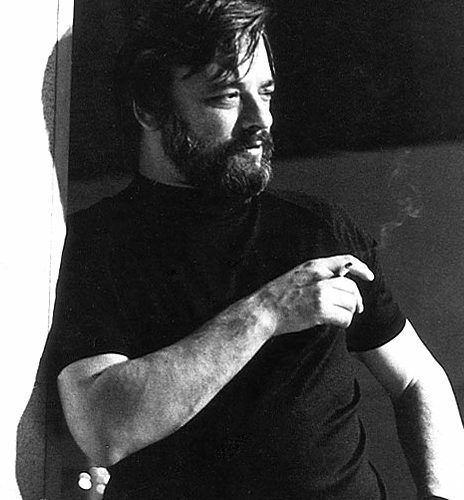 American composer Stephen Sondheim was born on March 22, 1930, in New York City. After early practice at songwriting, his knowledge of musical theater was influenced by master lyricist Oscar Hammerstein II, who served as a mentor. Sondheim’s contributions to West Side Story and Gypsy in the 1950s brought him recognition as a rising star of Broadway. 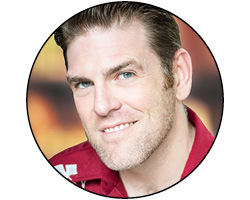 Known for the startling complexity of his lyricism and music, his major works for the theater also include A Funny Thing Happened on the Way to the Forum, Sweeney Todd, Sunday in the Park With George and Into the Woods. His parents, Herbert and Janet (née Fox) Sondheim, worked in New York’s garment industry; his father was a dress manufacturer and his mother was a designer. They divorced in 1942 and Sondheim moved to Doylestown, Pennsylvania with his mother. He began studying piano and organ at a young age, and he was already practicing songwriting as a student at the George School. In Pennsylvania, Sondheim became friends with the son of Broadway lyricist and producer Oscar Hammerstein II, who gave the young Sondheim advice and tutelage in musical theater, and served as a surrogate father during a time of tumult. In his teens, Sondheim had penned a satire about his school, the musical By George!, which he thought his mentor would love and thus asked for feedback. Hammerstein in fact thought the project needed tons of work and offered honest criticism, which Sondheim would later see as invaluable. Sondheim also worked as an assistant on 1947’s Allegro, one of Hammerstein’s theater collaborations with composer Richard Rodgers, with the experience having long-lasting implications on the young composer’s approach to his work. Sondheim attended Williams College, where he majored in music. After graduating from the school in 1950, he studied further with avant-garde composer Milton Babbitt and moved to New York City. In the early 1950s, Stephen Sondheim moved to Los Angeles, California, and wrote scripts for the television series Topper and The Last Word. Returning to New York, he composed background music for the play The Girls of Summer in 1956. An acquaintance with director Arthur Laurents brought Sondheim into contact with composer Leonard Bernstein and choreographer Jerome Robbins, who were looking for a lyricist for a contemporary musical adaptation of Shakespeare’s Romeo and Juliet. Writing the song lyrics for West Side Story, which opened in 1957, Sondheim thus became part of one of Broadway’s most successful productions of all time. Sondheim’s next theater project was similarly high profile: He teamed up with composer Jule Styne to write the lyrics for Gypsy, which opened in 1959 with Ethel Merman as its star. After musical contributions to 1960’s Invitation to a March, Sondheim then wrote both lyrics and music for A Funny Thing Happened on the Way to the Forum, a Zero Mostel farce based on comedies by ancient playwright Plautus. It opened in 1962, ran for nearly 1,000 performances and won a Tony Award for best musical. Sondheim won several more Tony Awards in the 1970s for his collaborations with producer/director Harold Prince, including the musicals Company (1970), a meditation on contemporary marriage and commitment; Follies (1971), an homage to the Ziegfeld Follies and early Broadway; A Little Night Music (1973), a period comedy-drama that included the hit song “Send in the Clowns”; and Sweeney Todd (1979), a gory melodrama set in Victorian London destined to become a 2007 Tim Burton film. Sondheim became known for his witty, conversational lyrics, his seamless merging of words with music and the variety of his source materials. Pacific Overtures (1976) was partially inspired by haiku poetry and Japanese Kabuki theater, and 1981’s Merrily We Roll Along was adapted from a 1934 play by George S. Kaufman and Moss Hart. Sondheim continued to combine various musical genres with sharp lyrical writing and unexpected subject matter in the 1990s, though some of his work of that decade received less critical and popular acclaim. Assassins (1990) told the tales of nine presidential assassins in American history; and Passion, a 1994 collaboration with Lapine, was a melodramatic romance based on the Italian film Passione d’Amore. Sondheim’s work has also been the subject of several revues, including Side by Side by Sondheim in 1976, Putting It Together in 1992 and Sondheim on Sondheim in 2010. Broadway has continued to host Sondheim classics as well, including the 2009 revivals of West Side Story and A Little Night Music, with the latter starring Catherine Zeta-Jones and Angela Lansbury. In 2011, Follies was revived, starring Bernadette Peters. Sondheim was honored as a recipient of the Presidential Medal of Freedom in November 2015. In 2017, Sondheim became the first composer-lyricist to win the PEN/Allen Foundation Literary Service Award. The annual prize is given to a “critically acclaimed writer whose body of work helps us understand and interpret the human condition,” and has previously been awarded to novelists Salman Rushdie and Toni Morrison. 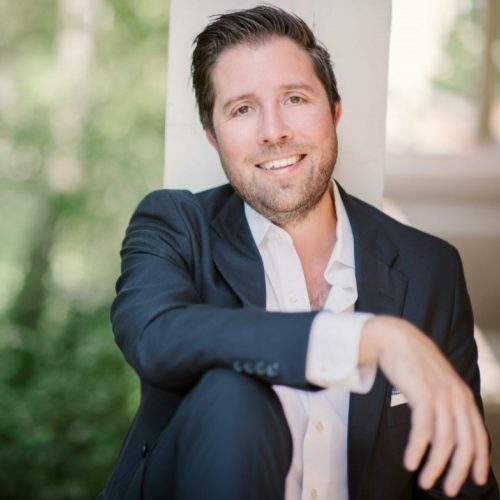 American conductor Timothy Myers enjoys a career that encompasses a wide breadth of opera and symphonic repertoire, as well as a continued commitment to quality long-term relationships with institutions and artists. Noteworthy recent engagements have included concerts with the North Carolina Symphony and Baltimore Symphony, Adams’ Doctor Atomic and R. Strauss’ Capriccio with Curtis Opera Theatre, a Lyric Opera of Chicago debut conducting the Rising Stars Concert, and the workshop of Ricky Ian Gordon and Lynn Nottage’s commission for the Metropolitan Opera, Intimate Apparel. In 2016 Myers made his European debut with a highly acclaimed production of Barber’s Vanessa at Wexford Festival Opera, where he returns in 2017 to lead a new production of Jacopo Foroni’s rediscovered Margherita, the first performances since its 1848 premiere. Also in the 17/18 season Myers continues his long affiliation with Houston Grand Opera conducting Bernstein’s West Side Story; a debut with Florida Grand Opera leading his first Salome; and Samson et Dalila in concert for his return as a guest conductor at North Carolina Opera. With the close of the 16/17 season, Myers concluded his nearly decade-long tenure as the Artistic and Music Director of North Carolina Opera, where Myers’ work inspired a precipitous rise in the performance standard and the forging of collaborations with multiple local and national organizations. Repertoire highlights from his tenure include Das Rheingold, Act II of Tristan und Isolde and Act I of Die Walküre, Eugene Onegin and Rusalka. A protégé of Lorin Maazel, Myers was the first associate conductor of the Castleton Festival, where he led multiple symphonic and opera performances over his tenure. Myers has conducted the American, Jerusalem, Beijing NCPA, North Carolina, Portland (ME), Toledo, Chautauqua, Tulsa and Palm Beach symphony orchestras, the Malaysian, Johannesburg and Brooklyn philharmonic orchestras, and appeared at the Wolf Trap, Central City, Castleton and Music Academy of the West festivals. Mr. Sherman has garnered praise for his stylistic versatility and carefully crafted productions of opera, operetta, and musical theater for companies across the United States. Recently he made his European debut directing the world premiere of the Marilyn Monroe opera Happy Birthday, Mr. President for Volkstheater Rostock. As a resident stage director for over 30 seasons at New York City Opera, he directed critically acclaimed productions of Rossini’s Il Barbiere di Siviglia, Mozart’s Don Giovanni, Le Nozze di Figaro, and Die Zauberflöte; Verdi’s La Traviataand Falstaff; Donizetti’s Don Pasquale; and Gilbert and Sullivan’s The Mikado. 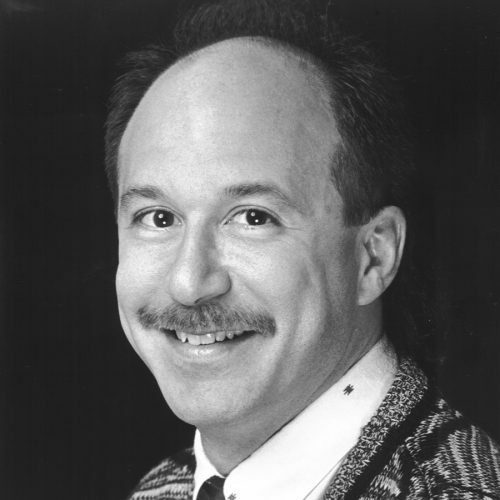 In addition to his work at City Opera, Sherman has directed productions for a number of other companies such as Wolf Trap, Cincinnati, Portland, Kentucky, Florentine (Milwaukee), Phoenix, Sarasota, Columbus, Dayton, and Tulsa. He has also guest directed at Manhattan School of Music, Boston University, Academy of Vocal Arts (Philadelphia), Mannes School of Music, New York University and New World School of the Arts (Miami). Sherman assisted Harold Prince on the NYCO productions of Candide, Sweeney Todd and Weill’s Silverlake. Additionally he assisted Scott Ellis and Susan Stroman on the company’s Drama Desk Award-winning production of A Little Night Music telecast on PBS. Mr. Sherman is a recipient of the School of Music Distinguished Alumnus Award from Boston University College of Fine Arts.